Starring: Tom Hardy, James Gandolfini, Matthias Schoenearts, Noomi Rapace, John Ortiz, Elizabeth Rodriguez, Michael Aranov, Morgan Spector, Michael Esperanto, James Fresheville, Tobias Segal, Chris Sullivan, Patricia Squire, Ann Dowd. 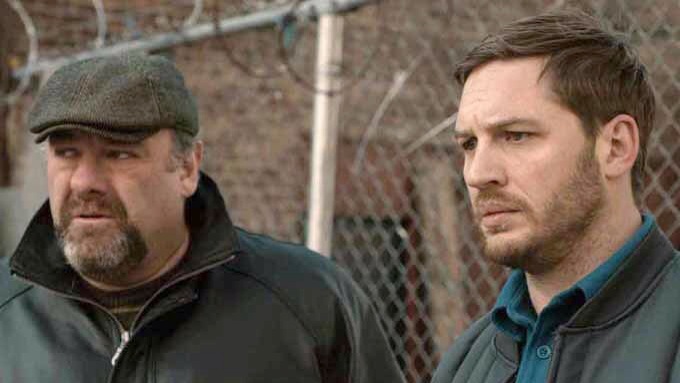 The Drop is one of those films that almost sneaks by an audience but strangely there’s still something that catches the eye. That something may be because it’s yet another adaptation of the normally successful page to screen transfer of crime novelist Dennis Lehane (Gone Baby Gone, Mystic River & Shutter Island); the English language debut of Bullhead director Michaël R. Roskam or that it features the last screen performance of the late, great James Gandolfini. 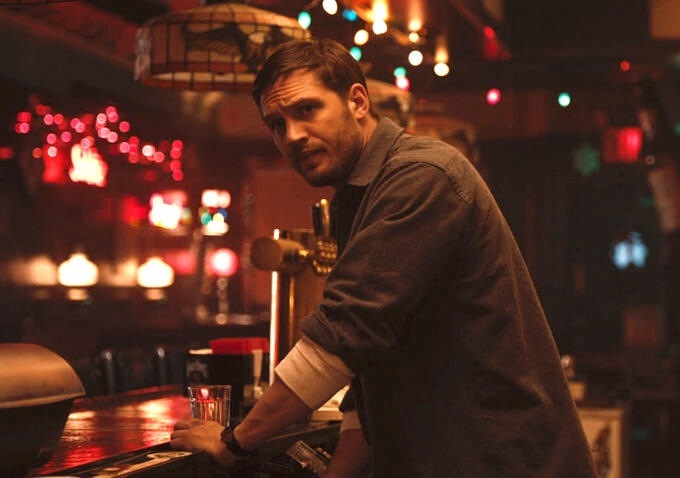 All of these are reason enough to see it, but the one that really makes it worthwhile is the ubiquitous and quietly commanding Tom Hardy. Trivia: Before starring together in the film, Tom Hardy’s performance in Bronson (2008) and Matthias Schoenaerts’s performance in Bullhead (2011) were Steven Ogg’s inspirations to play the crazed Trevor Phillips in the video game Grand Theft Auto V. Steven Ogg revealed his inspirations at New York Comic Con in October 2013. This entry was posted on October 5, 2015 at 3:42 pm and is filed under Crime, thriller. You can follow any responses to this entry through the RSS 2.0 feed. You can leave a response, or trackback from your own site. I still need to see this! I’ve seen the photos of Tom Hardy and THAT dog everywhere 😛 Of course that’s not the only reason and glad to hear you love this one, Mark! Its definitely worth a look, Ruth. Like I mention in my review it came in for some criticism in terms of some plot strands but although I noticed them, I didn’t grumble too much. The mood and acting were top drawer stuff. I still need to catch up to this one, Mark. Thanks for the reminder. Yeah, stick this on your list, Michael. It’s a great little atmospheric crime flick with some excellent performances. Certainly one of the quieter releases that will ever have a cast of names like this involved. 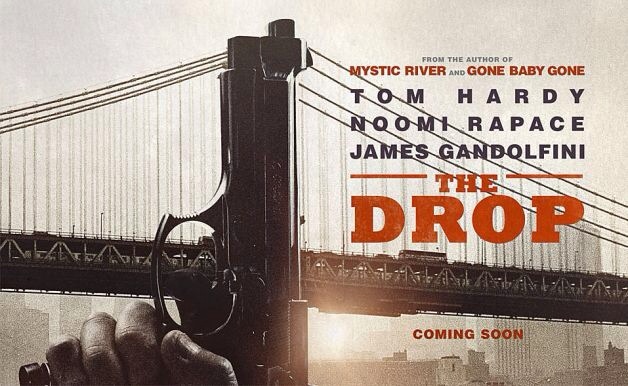 I thought The Drop was great, a fantastically brooding, no-nonsense tale intimately set and masterfully performed. Top work Mr. Walker. Top work sir. Couldn’t agree more here my man! Glad to hear you’re also a fan. I was disappointed that it was criticised by quite a few. I noticed some flaws here and there but they didn’t take away from the overall experience. Hardy is superb and it’s great to see Matthias Schoenaerts get regular work these days – he was phenomenal in Bullhead. 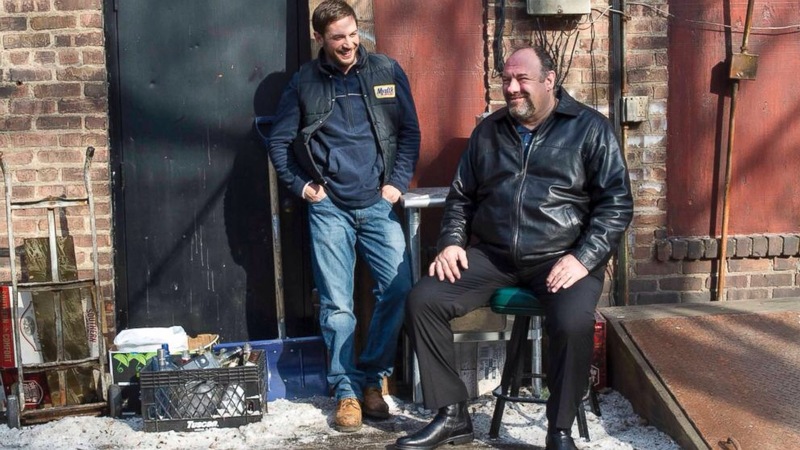 Sadly, it’s Gandolfini’s last, but a good film to go out on! A great one. It was truly haunting seeing him in this. Bittersweet too. Phenomenally gifted actor, R.I.P. Mr Soprano. Fabulous actor! There was still a lot more he could have contributed. Nice review Mark. Haven’t seen this, but I do love Gandolfini. Still can’t believe he passed away. It’s worth a look, man. The performances are great. 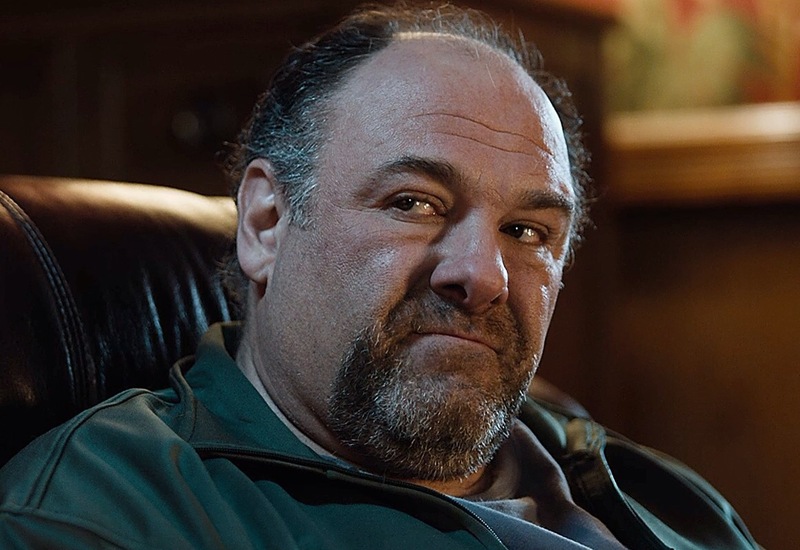 It’s a shame that we lost Gandolfini but this is a good performance to remember him by. That’s one handsomely assembled cast there. Fantastic review as ever Mark. Cheers Vinnie. Noomi Rapace is wasted but Hardy, Gandolfini and Schoanerts are good, man. I really liked this little flick! It’s going on my movies to watch list right now. Nice to hear, Jordan! I was quite taken with this little flick. A solid addition to the genre and the performances are just fantastic! I was too. I listened to a lot of opinions who were less than favourable. As a result, my expectations were lowered which worked in my favour in the end. I really enjoyed Hardy’s work here. Understated yet very powerful. Great to Gandolfini as well and I’m fast becoming a big fan of Matthias Schoanaerts. yeah i wanna see Matthias Schoanaerts in more stuff for sure. Schoanaerts in Bullhead and Rust and Bone are great to start with. He’s even better in those two. I highly recommend them. Definitely an actor to watch. He’s on the rise! Nice review, and agree with it all whole-heartedly. The more people that see this the better! Everything about this film is played perfectly. A very underrated film, man. I’m actually quite surprised that it didn’t get more love and attention. I also loved Bullhead and now eager to see what Roskam does next. Probably would only get three stars for me as it doesn’t stay that long in the memory. You having a Tom Hardy fest by the way? If so, enjoy! I can understand some people having issues the film but I was able to overlook it’s faults as the mood and performances were so good. As it goes, this and Locke was me just tidying up older reviews that I never got a chance to post before I went AWOL. That said, I just watched Child 44 the other night so you could say that I’m on an unofficial Hardy fest. Such a good actor. There were definitely good elements to this and I don’t mind a slow burner but for me the payoff just wasn’t good enough and I was left feeling a bit disappointed. I’ve heard quite a few folk say similar things, Abbi. It worked for me, though. I enjoyed the performances and I’m a sucker for a lowbrow crime flick. I was quite satisfied with the payoff and by Hardy’s surprise transformation. Caught up with this one this week and enjoyed it. The fact it concerns itself with characters rather than the deed makes it more unique. I like the fact there were no real good guys – maybe just the dog. I also liked the ending. With you on that, man! I thought the characters were very interesting and the performances superb. I think this flick has been unfairly judged by quite a few.